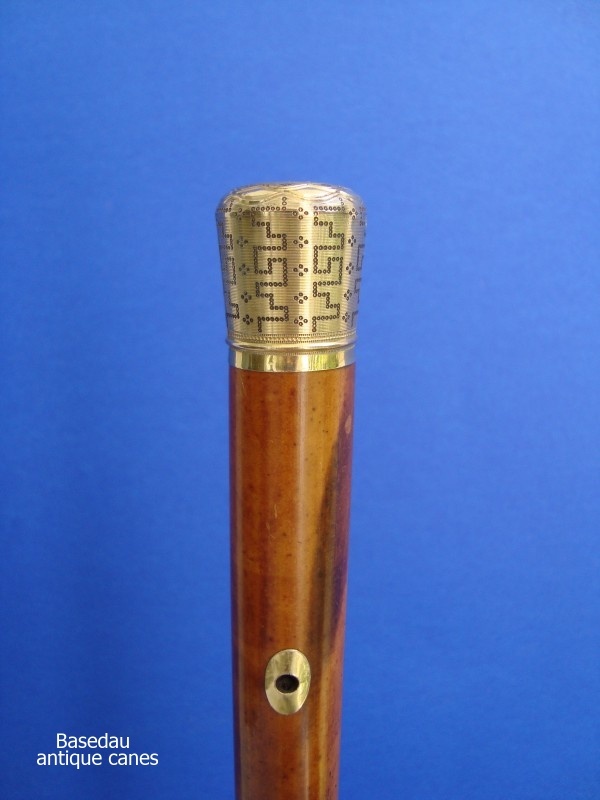 An elegant walking cane with a metal gilt knob. 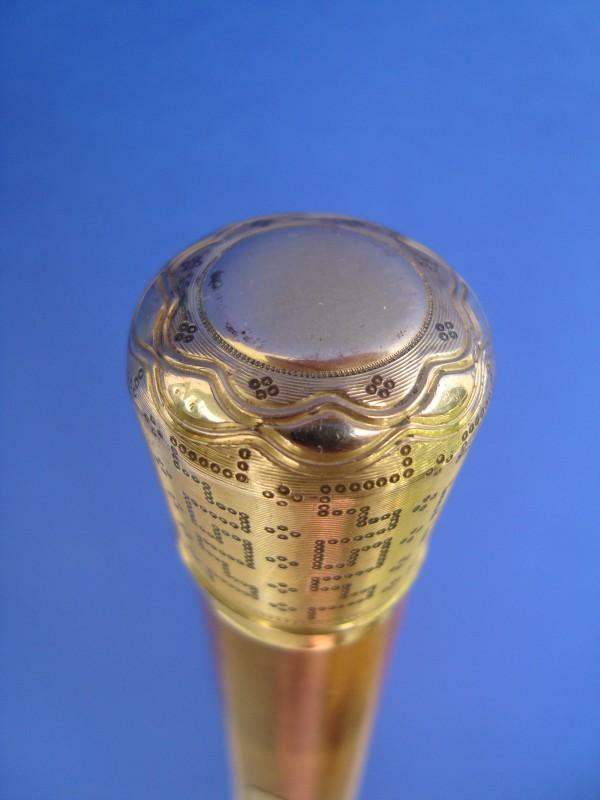 surround pattern on a needle etching ground, directly fitted on a perfctly reddish-brown malacca shaft. Measures: knob 3 cm, 1,2". Overall length 88,5 cm 35 "